Congo appeared on the cusp of its first peaceful transfer of power with the surprise victory Thursday of opposition candidate Felix Tshisekedi, despite clear signs that a rival opposition leader actually won in a landslide. 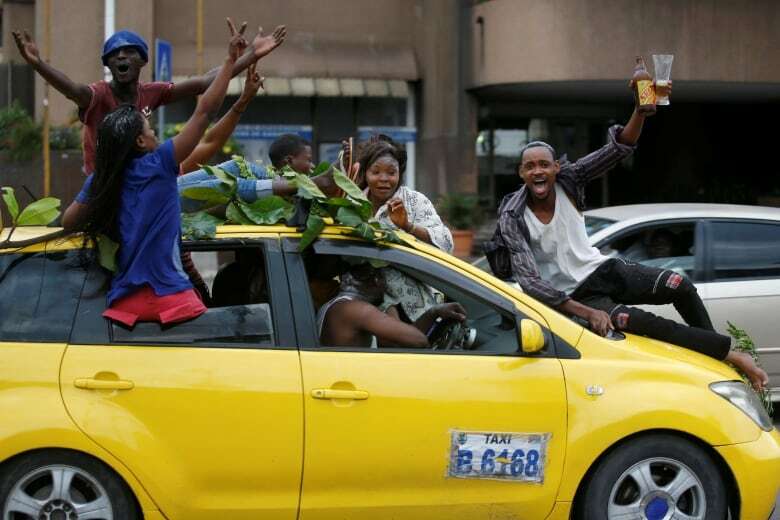 With no major protests in the capital Kinshasa and limited violence elsewhere in the vast Central African country, the population seemed to be choosing stability over credibility, accepting Tshisekedi's win and the end to President Joseph Kabila's long and turbulent rule. But a court challenge to the results could spin the country into chaos, observers warned. The influential Catholic Church, which deployed 40,000 observers at all polling stations, said official results did not match its findings, and diplomats briefed on them said rival opposition candidate Martin Fayulu won easily. Fayulu alleges that Kabila engineered a backroom deal with the largely untested Tshisekedi to protect his power base in a country with staggering mineral wealth. An outspoken campaigner against Congo's widespread graft — it ranked 161th among 180 countries in Transparency International's latest index — Fayulu denounced the official results as "robbery." He called on people to "rise as one man to protect victory." As night fell, scores of police with automatic rifles and tear gas launchers were positioned along a road in Kinshasa leading to the Kingabwa neighbourhood, a Fayulu stronghold. One vehicle was filled with military personnel in combat gear. Despite the heavy security presence, the nation of 80 million remained largely calm. Some protest violence was reported in Kikwit, a Fayulu stronghold, where police said three people were killed. Police also confirmed "agitations" in Congo's third-largest city, Kisangani, but said they were quickly brought under control. It was not immediately clear whether Fayulu would challenge the election results in court. Candidates have two days after the announcement to file challenges and the constitutional court has seven days to consider them before results are final. Careful statements by the international community did not congratulate Tshisekedi, merely taking note of official results and urging peace and stability in a country with little of it. Observers appeared to be watching for the reactions of Fayulu's supporters. Two diplomats said all major election observation missions, including those of the African Union and the Southern African Development Community, showed similar results to those of the Catholic Church. The diplomats spoke on condition of anonymity because they were not authorized to speak to the press. Tshisekedi, who received 38 per cent of the vote according to official results, had not been widely considered the leading candidate. 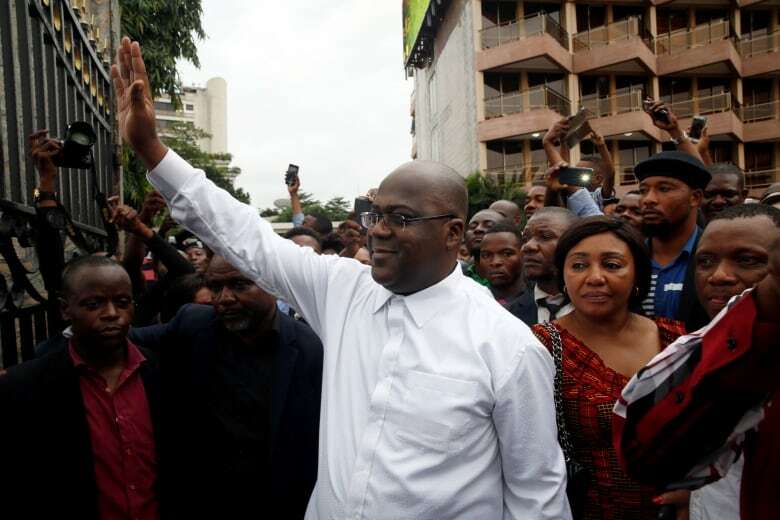 Long in the shadow of his father, the late opposition leader Etienne Tshisekedi, he startled Congo last year by breaking away from the opposition's unity candidate, Fayulu, to stand on his own. Fayulu, a former Exxon manager and Kinshasa lawmaker, received 34 per cent of the vote in the official results. He was a vocal activist during the two-year delay in Congo's election, insisting it was time for Kabila to go. Fayulu was backed by two popular opposition leaders barred by the government from running. 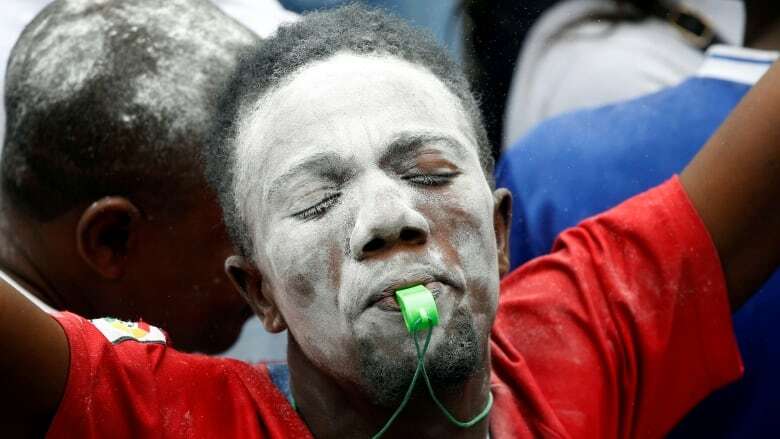 Even before the election announcement, some observers suggested that Kabila's government might make a deal with Tshisekedi as hopes faded for ruling party candidate Emmanuel Ramazani Shadary, who received just 23 per cent of the vote. Many Congolese objected to Shadary, suspecting that he would allow Kabila to continue to rule from behind the scenes and protect his vast assets. Several Congo analysts agreed that it appeared Kabila made a quiet agreement with Tshisekedi, saying Fayulu would have posed more of a threat. "If Fayulu and his allies, with their own independent security and financial networks, had taken power they would have changed the power structure of Congo and definitively ousted Kabila and his clan," said Patrick Smith of the newsletter Africa Confidential. "Tshisekedi, with his weaker network, looks like being the junior partner in his accommodation with the Kabila establishment." Pierre Englebert, a fellow at the Atlantic Council's Africa Center, said Tshisekedi would be more malleable and might allow Kabila's network to continue. "One possibility for today's result is that once the regime saw the catastrophic mistake Kabila had made by nominating Shadary, it scrambled to come up with a Plan B. Enter Tshisekedi," Englebert wrote in an analysis . Tshisekedi "has wavered at times in his opposition to the regime and is far from having his late father's intransigence." By breaking away from the opposition coalition supporting Fayulu, Tshisekedi "positioned himself to bargain with the regime," Englebert wrote. "But if the history of the Kabila regime and its tight control on the state and its security apparatus are any indication, the ... new president-elect is likely to end up on the losing end of this bargain." Britain's foreign secretary said he was "very concerned about discrepancies" in Congo's results, adding that the United Nations Security Council would discuss the matter on Friday. France's foreign minister bluntly cast doubt on the official results and Belgium's foreign minister expressed concern. There was no immediate United States comment.